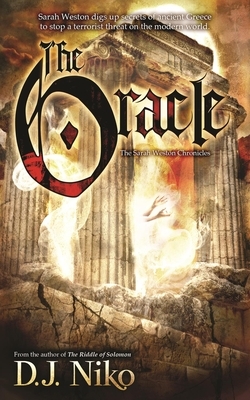 When antiquities are stolen from a museum in nearby Thebes, British archaeologist Sarah Weston and her American partner, Daniel Madigan, are drawn into a plot that goes beyond harmless role-playing: someone's using the Delphian oracle as a smoke screen for an information exchange, with devastating consequences for the Western world. Pitted against each other by the cult's mastermind, Sarah and Daniel race against time and their own personal demons to uncover clues left behind by the ancients. Their mission: to find the original navel stone marked with a lost Pythagorean formula detailing the natural events that led to the collapse of the Minoan Empire.